According to the latest data from Pingdom, that’s no longer the case. 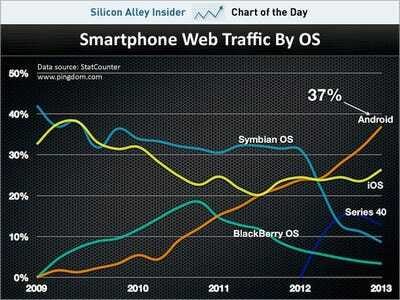 Android is safely beating Apple in smartphone web traffic market share. 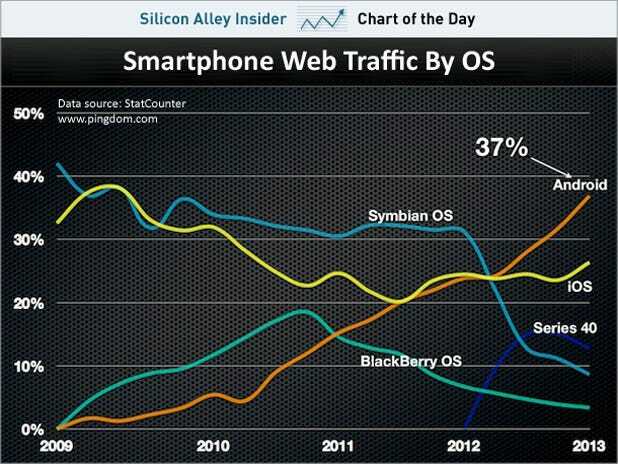 For Apple, this is yet another depressing chart showing that it’s been smoked by Google’s smartphone operating system. However, before Google does too big a victory dance, there’s one thing worth noting. Android is 37 per cent of smartphone web traffic, but its overall sales market share is closer to 65 per cent worldwide. So, there is clearly still a big gap between purchases and usage for Google that it needs to address.